Translator Note: Actually managed to translate this chapter the first thing after I woke up. Can’t wait for Zou Liang to show his medicinal abilities and shock the hell out of everyone but it seems that we will have to wait till future chapters for that to happen. Hope you guys enjoy this chapter! Chapter 107 Title: Time to Show who the Real Boss is! Zou Liang skipped class and went to visit Yelu Samo’s Adventurer Guild. He decided to wear the outfit he was given by the pharmaceutical division so as to attract lesser attention and to minimise the trouble brought to him. The Adventurer Guild was different from the other guilds who generally carried a sense of strictness and elegance. After all, this guild was open for everyone to visit with no restrictions. Hence, it was very crowded and filled with people from all walks of lives. People who walked past may even mistake this place for a wet market. Without a doubt, the quality of items sold by the Risky Trade Union Guild would naturally be lower than the other guilds. “Let me see the one of medium quality then.” He did not need to bother asking about the high quality soul as he knew that he would not be able to afford it even if he sold himself. As long as the price is within his budget of 10 gold coins, he should more or less be able to seal the deal. After all, Tuo Ma Si wasn’t a stingy person. “Please come this way.” The old Fu Ke Si was very welcoming, probably due to the fact that this young Bi Er was very respectful. They arrived at the left section of the counter. On top of the counter, one could see a batch of Soul Assembly Bottles (containing the beast souls inside) neatly lined up in a row with a detailed description and a pricing below each and every one of it. The prices range from as low as 1 gold coin to as high as 100 gold coins. Zou Liang did some quick calculations and realised that he would require at least 5 of such bottles for his experiments. A group of people rushed in noisily as they caused a commotion. The surrounding people quickly dispersed and move aside. They could not be blamed as the arrogant guest was no ordinary figure. The few servants said respectfully as they invited the young man in. As Zou Liang saw the young man’s face, his face turned gloomy. It seemed that it is true that enemies would not be enemies if they do not bump into one another all the time. The young man was none other than Lan Duo Fu (the guy Zou Liang had beaten him up in earlier chapters and still gotten away with it), who’s face made Zou Liang feel like beating him up. Lan Duo Fu snorted as he proudly nodded his head. An attendant from the Risky Trade Union Guild quickly hurried over to invite him in. After all, the guild could not risk offending a figure from the noble family. Lan Duo Fu was not in a good mood recently as he was not only beaten up by Zou Liang, but also scolded by his father. His mood only became better recently as he was about to consolidate the next piece of his armour set. Since his soul engraving instructor needed some beast souls to practice, he would not hesitate to buy as many beast soul as he required, so long as the final product is perfect. And at this moment, a little brat who seemingly did not have any eyes actually wished to stand in his way! A few of the servants violently charged towards him and pushed away the trade union’s assistants who wanted to mediate the situation. Lan Duo Fu’s face turned red and white as his words were stuck in his throat. He would definitely withdraw if it was just the two of them alone. However, in this situation where everyone is watching, how could he just back out? Lan Duo Fu had never took a back seat in his life. Since young, he was always the one bullying others. 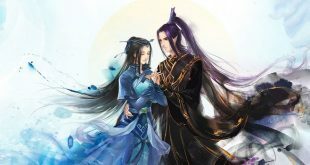 It seemed that he had completely forgotten the warning of his father as he simply viewed Ya Se as just a priest-in-training who relied on his connections and is nothing more than just a feather. Once the servants heard his words, they immediately rushed up excitedly as they wanted to claim the credit for themselves. They all had the same thought in mind. It is just a mere medicinal practitioner, how strong can he be? In a blink of an eye, Lan Duo Fu’s servants were thrown onto the floor. Zou Liang used his joint technique. Even though the actions were not flashy, they were packed with shocking killing intent. “You better not come over here, or else, don’t blame me for not showing you respect!” Lan Duo Fu took out his long bow as he aimed it at Ya Se. Lan Duo Fu bit down on his teeth as he launched his arrow. He decided that he would just carry through with his actions and not worry about the responsibilities. After all, it is just a mere priest-in-training’s life. He presumed that the temple will not clash with the Archer Guild over such a small matter. His figure flashed as he easily dodged the arrow, with the arrow landing on one of the pillars instead. In the next moment, Zou Liang appeared in front of Lan Duo Fu as he sent out his Mountain Striking Fist. In other people’s eyes, it just seemed like a normal direct collision attack. What they were not aware of was the fact that the punch was packed with hidden strength. His body was no different from a kite which’s string just got cut off as he flew out of the entrance of the Risky Trade Guild Union, falling straight on the ground. Before he passed out, he was immensely depressed. Why did both brothers have to have the same move…? Now that the son of the Archery Guild’s chairman was beaten up, things was getting out of control. The Adventurer Guild’s chairman ran out upon hearing of the incident, but to no avail, he was too late to stop the fight. In fact, after he recognised that the other party was Ya Se, he knew that there was no way he could have intruded in this battle. After all, it was a battle between two famous figures. As the position of the Adventurer Guild is very low, it could not even compare to other guilds, not to mention the aristocrats. As such, the chairman had no chance to show his face during any sorts of large-scale events. In the Beast World, just having money is not sufficient. In order to be recognised by everyone, one must either be part of the noble families, or be part of the recognised bloodlines. The Adventurer Guild was merely a guild in charge of unskilled labour in the past. With recent years, it have started to rise, although it still could not compare to the likes of the other guilds. Zou Liang was a man of foresight. He knew that with the system of the trade union guild, it was only a matter of time before the guild struck gold and replace the other guilds. As such, he decided to curry favour with the guild while it is still expanding. “Hehe, please come in.” La Nu decided not to pay any attention to Lan Duo Fu. After all, their sparring had no relations to the trade union. Since Ya Se was the winner, La Nu naturally had to treat him nicely. As La Nu brought Ya Se to the inner room, Ya Se could not help but be amazed at the luxurious decorations in the inner room. Unfortunately, what Ya Se did not have at the moment was money, hence, even if he entered the room, he would not be able to purchase anything. “Cough cough. Chairman La Nu, I actually just wanted to buy a few medium quality bottles. You should know that the temple isn’t very well-endowed.” Zou Liang spoke out embarrassingly. Zou Liang could only helplessly shrug his shoulders as he thought about his poor predicament. In actual fact, he needed higher quality beast spirits for his complicated designs.